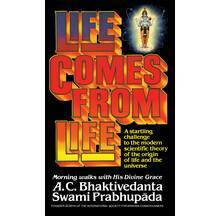 Life Comes From Life is an impromptu but brilliant critique of some of the dominant policies, theories and presumptions of modern science and scientists by one of the greatest philosophers and scholars of this century, His Divine Grace A.C. Bhaktivedanta Swami Prabhupada. 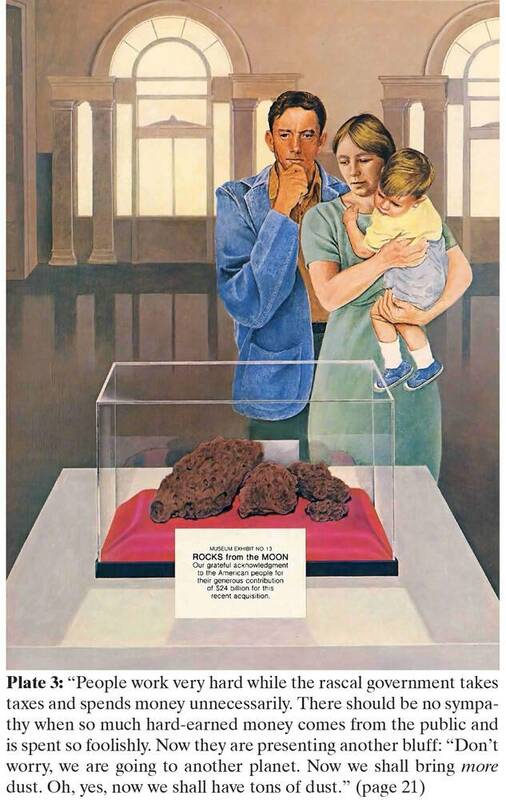 Srila Prabhupada's vivid analysis uncovers the hidden and blatantly unfounded assumptions that underlie currently fashionable doctrines concerning the origins and purpose of life. Is life only a combination of atoms? Are we mere robots? 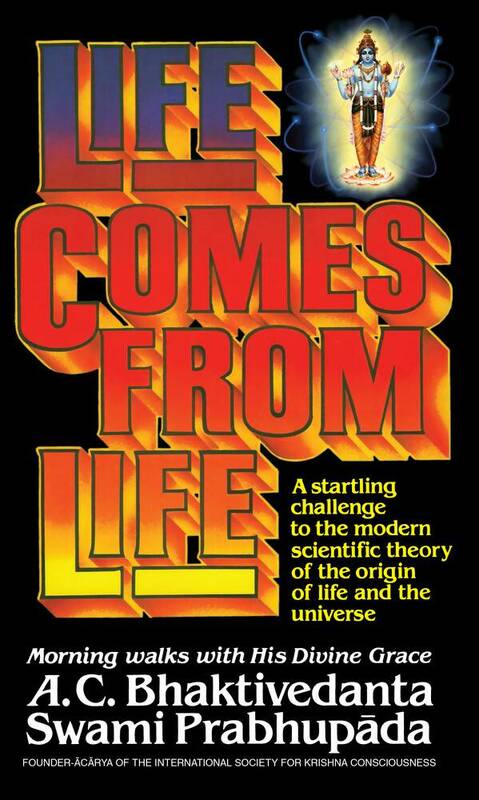 For people who have come to accept every pronouncement of modern scientists as tested and proven truth, this book, "Life Comes From Life", will be an eye-opener. 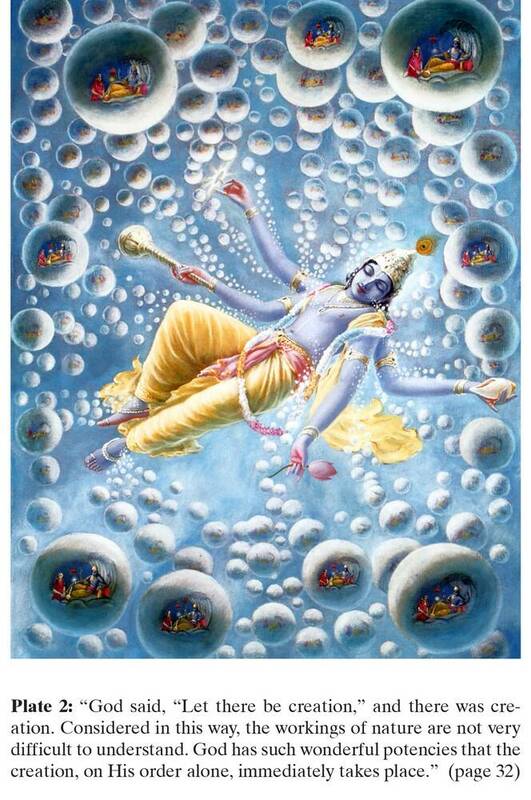 In Life Comes from Life Srila Prabhupada takes the role of philosopher / social critic. With philosophical rigor, profound common sense and disarming frankness, he exposes not only modern science's methodological shortcomings and unexamined biases but also the unverified (and unverifiable) speculations that scientists present to the trusting public as known fact. 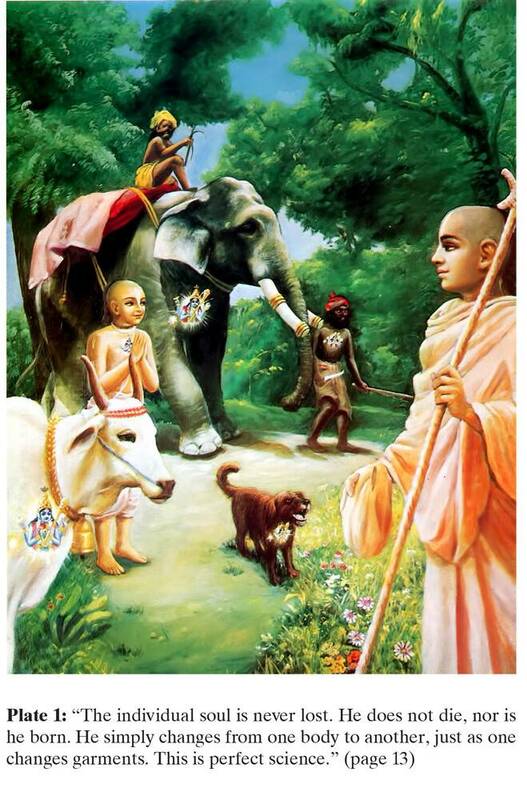 Thus Srila Prabhupada breaks the spell of the materialistic and nihilistic myths which, masquerading as science, have so bewitched modern civilization. This book is based on taped morning walk conversations that Srila Prabhupada had with some of his disciples during 1973, in the Los Angeles area. 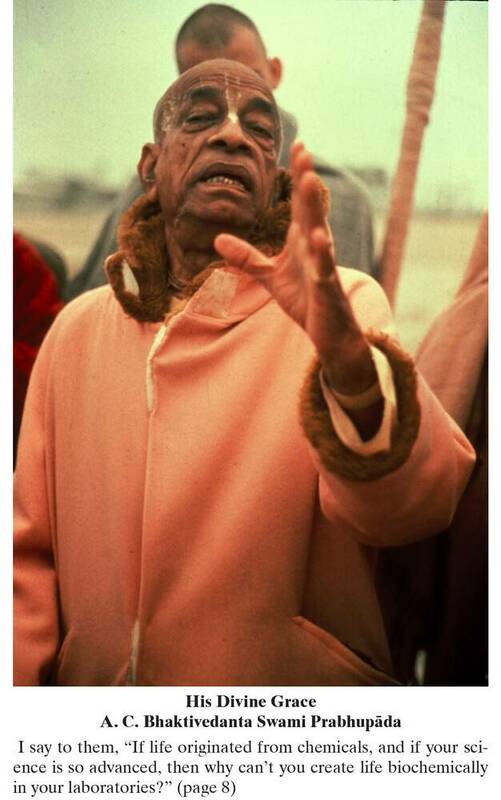 Srila Prabhupada (1896-1977) is an internationally recognized author, scholar and spiritual preceptor, and he is widely esteemed as India's greatest cultural ambassador to the world. In Life Comes From Life with philosophical rigor, profound common sense and a disarming frankness, he exposes not only modern science's methodological shortcomings and unexamined biases but also the unverified (and unverifiable) speculations that scientist present to the trusting public as known fact. 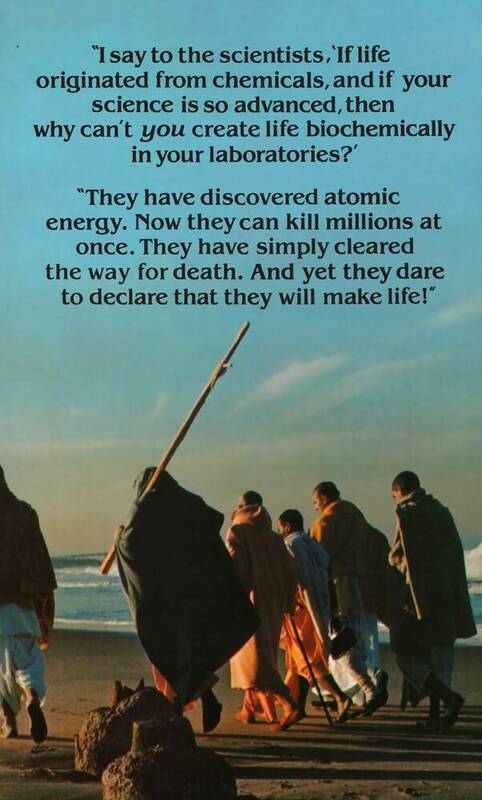 Thus Srila Prabhupada breaks the spell of the materialistic and nihilistic myths which, masquerading as science, have so bewildered modern civilization.